That stinging, post-pitch strike from a retailer that you didn’t see coming, whether it lands the day after your meeting or several months later. Maybe they just said no, left you hanging forever or kept you in the dark. Either way, you're determined to make sure it never happens again! In this three-part series, I outline three behaviors that, whether perpetrated by your internal teams or third-parties, will leave you wide open. The following is Part III in Carol Spieckerman's series for retail suppliers: Three Little-Known Preludes to a Pitch Slap . Ask any retail decision-maker how many times they’ve heard these five words from a supplier and you’re likely to get an eye roll. It’s hard not to go there when you’ve just walked into one of your customer’s stores and spotted a big, beautiful program filled with competitors’ brands and products, or when you’ve just read a press release announcing a partnership between someone who you thought was your best customer and a competing solution provider. It’s one thing to be given a crack at a program and lose fair and square, but something totally different to not even be given the chance. Many of the most coveted retail programs are multi-channel, multi-category, multi-brand, and multi-stakeholder. This means that they require more than just the ability to execute. Soft skills such as collaboration, project management, and the ability to think on your feet aren’t lost on retailers, and they come through (or don’t) in every interaction that you have with them. 2. Their retail relationships are limited –I recently spoke with an accessories supplier who couldn’t believe that a consumer electronics merchandise chief had coordinated a comprehensive program that included housewares, apparel, and accessories. The supplier had found this out after the fact, and asked their buyer contact the question that opens this article. The simple answer was that while some of the products in the program came from the buyer's area, she wasn’t in charge of pulling the program together. These days, it pays to forge relationships, not just with retailers’ upper management, but also with decision-makers in other departments. This is particularly true as the distinctions between categories such as toys, electronics, and fashion continue to blur. 3. They aren’t asking the right questions – It’s easy to get into a sell-in-and-go-home rut with retailers, but doing so is a surefire way to stay in the dark. Every meeting with a retailer should close with pointed questions regarding upcoming initiatives and, going back to the point above, who is responsible for coordinating them. If you took the advice offered in Part II of this series, you should have plenty of time to drill down. As fast as retail is moving and as opportunistic as retailers have become, it also makes sense to inquire about new format launches (not just new store openings), new roles that are being brought into the organization, new data capabilities and metrics, new content sharing opportunities, and other points that go beyond simply selling in products. Getting left in the dark is a pitch slap that stings like no other. Managing perception, expanding relationships, and asking the right questions help to head it off while lighting the way to high-volume opportunities. Maybe they just said no or left you hanging forever. 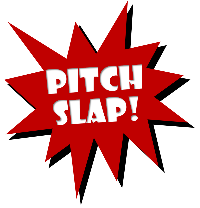 The following is Part II in Carol Spieckerman's series for retail suppliers: Three Little-Known Preludes to a Pitch Slap. It’s been said that the great artist is the one who knows when to stop. The same can be said of great retail suppliers. Unfortunately, in my experience, many don’t stop, particularly when it comes to preparing for early-stage meetings with retailers. Too many companies have conditioned themselves to believe that the bigger the opportunity, the more everything has to grind to a halt to pursue it. The days and weeks leading up to a meeting are havoc – people are pulled away from other projects and as team members from multiple departments contribute, the presentation gets bigger and more disjointed. Ironically, what actually matters most, rehearsing talking points and defining outcomes, is often thrown out the window. I call this “kitchen sink syndrome” and have found that the companies that are most self-conscious about their value propositions are often the worst offenders. They’re more comfortable cutting and pasting capabilities, case studies, and creative elements into a mish-mash menu of options than working to reduce things down to a clear, retailer-centric value proposition. In truth, most attempt to cover every possibility and hope that the retailer will whittle things down for them. They often can’t go after more than one major opportunity at a time because the resource drain prevents it. They routinely exceed retailers’ meeting time limits with little to show for it (see Part I for more on this). They are perceived by retailers as tedious, disorganized, and even desperate. Bottom line: when complexity takes over, you’re vulnerable to a pitch slap. Worse yet, when this becomes a habit over time, your business development process will come to a screeching halt. Early-stage meetings with retailers are opportunities to start a conversation, build credibility, and assess mutual fit. The majority of your resources should be deployed in creating follow-up propositions, once you have buy-in and a clearer path to next steps. In the meantime, head off the pitch slap and unclog your business development pipeline by knowing when to stop. Think retail program decision-making is a level playing field? Think again! Learn more in Part III: You’re Out of the Loop. The pitch slap. That stinging, post-pitch strike from a retailer that you didn’t see coming, whether it lands the day after your meeting or several months later. Maybe they just said no or left you hanging forever. Either way, you're determined to make sure it never happens again! In this three-part series, I outline three behaviors that, whether perpetrated by your internal teams or third-parties, will leave you wide open. You left your last retailer meeting high-fiving your colleagues. Wow, what a sales call! The conversation went on for at least an hour. Who said retailers are intimidating? The guy was so friendly and everyone seemed to really hit it off! Fast forward one month later. Your new BFF at retailer HQ not only hasn’t returned your emails, he’s ignoring your carefully-spaced phone calls. In the meantime, you cringe every time one of your colleagues asks for status and decision-making timeframes. A few weeks pass and you finally hear back from him. It’s something vague about how he might be able to do something next spring but for now, he’s being pulled in a million directions, and sure, you should feel free to check back later. Ouch. You’ve just been pitch slapped! All because you ignored the first warning sign. You got flattered by all that chatter and let your meeting meander at the expense of driving concrete outcomes. You were too worried about breaking the spell and in the meantime, assumed that your decision-maker would magically bring everything home for you...at some point. I’ll share a secret with you: retail decision-makers are people. They like to talk, blow off steam, hold forth, and laugh just like you, and some don’t feel any responsibility to drive outcomes in every meeting with suppliers. Why should they? That’s your job. Retailers consistently tell me that this is their limit. After 30 minutes, they start to lose interest and think that you don’t have your story together. I’ve seen it firsthand more times than I can count. “Going long” gives retailers every reason to not take you seriously. You can’t drive strategic outcomes unless at least 50% of your meeting time is devoted to strategic conversation. If you are crowding that out with a pitch or idle chit-chat, strategy goes out the window. Am I advocating that you turn into a stiff stick-in-the-mud? Of course not, but reveling in rapport weakens your positioning and equating time with value is a classic symptom of not knowing the value that you bring. Short, sweet, and to-the-point is the only way to go if you’re going to head off the slap. I’ve found that plenty of suppliers actually think they are entitled to more time with retailers – usually because they invested way too much time and too many resources preparing for the meeting in the first place.